The BQYC is located in the City of Belleville on the Bay of Quinte, a short walk from the city centre. 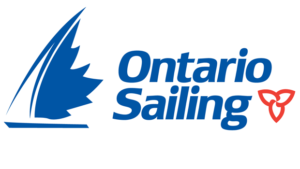 Our home sailing grounds are in the protected waters of the Bay, one of the best boating areas in Canada. The Club caters for the sailing interests of both sail and power boaters, and attracts those interested in cruising, racing in keelboats or dinghies, or simply socialising at the Long Reach Bar or at one of our many Social Events. Some of our members get involved in all of the above! Note that BQYC is a SELF HELP club. There is no paid staff, except for the bar steward. All members are expected to contribute to such activities as the organizing of events, house and grounds maintenance, sailing school, etc. Our visitor dock is available on a first-come first-served basis to reciprocal clubs. Visitors may stay at the club dock for up to 4 consecutive nights and up to 6 total nights in a season. We do not take reservations. Upon arrival please dock if there is space and then check-in with bar staff during business hours only (after 4pm weekdays) at 613-966-5931 or on channel 68. Written by: Bay of Quinte Yacht Club on April 13, 2016. Last revised by: obird, our reviewer, on November 3, 2018.